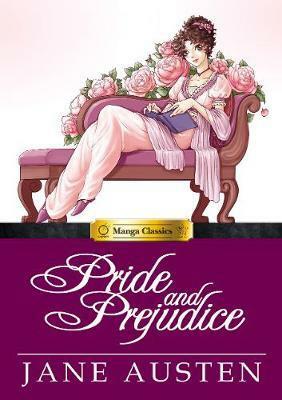 * Beloved by millions the world over, Pride & Prejudice is delightfully transformed in this bold, new manga adaptation. All of the joy, heartache, and romance of Jane Austen's original, perfectly illuminated by the sumptuous art of manga-ka Po Tse, and faithfully adapted by Stacy E. King. Jane Austen was an English novelist known primarily for her six major novels, which interpret, critique and comment upon the British landed gentry at the end of the 18th century. Austen's plots often explore the dependence of women on marriage in the pursuit of favorable social standing and economic security. Austen's use of biting irony, along with her realism and social commentary have earned her great and historical importance to critics and scholars. Stacy King is an editor for Manga Classics, a critically-acclaimed line of modern adaptations of literary classics in a manga format. In addition to her editorial duties, she has also written the adaptations for PRIDE AND PREJUDICE, SENSE AND SENSIBILITY, the upcoming THE STORIES OF EDGAR ALLEN POE and DRACULA, along with creating the English-language scripts for other books in the line. She holds an Honors B.A. from the University of Toronto, where she specialized in English Literature. When not immersed in a book, she enjoys historical costuming and obsessing about cats. Po Tse is a veteran in the comic-activists community. His uncanny talent of drawing authentic shoujo style as a male artist has made him a rare breed among his peers. Also known as Lemon Po to his followers and friends, Po's drawing style is inspired by classic manga artists of the 80's. Aside from being a shoujo comic artist, Po is a domestic husband who enjoys making desserts to delight his friends and family.